We offer a wide range of construction services from kitchen renovations to custom bathroom renovations to complete home renovation. Kocher Construction is the premiere construction company serving New Jersey. We provide full-service building solutions, consulting, construction management, design, and renovation services in Jersey City, Union City, Hoboken and the surrounding areas. We offer a wide range of construction services from kitchen and bathroom renovations to complete home renovation. We encourage teamwork, trust, and safety and are committed to helping our clients realize their vision. We have developed a highly skilled, creative, and innovative team of professionals and craftsmen that allow our clients to receive superior and highest quality of service. Our attention to every detail during construction or renovation ensures accommodation of budgets and schedules and helps us deliver the highest level of workmanship available. We offer customers in Jersey City, Union City, and Hoboken a unique combination of experience, refined skills and expertise, engineering knowledge, and superior customer service to help keep their construction or home renovation project running smoothly. From the minute you hire Kocher Construction, you’ll find that our team will surpass your expectations. As the top general contractor in New Jersey, we are committed to professionalism, excellence, high standards, and superior customer service. 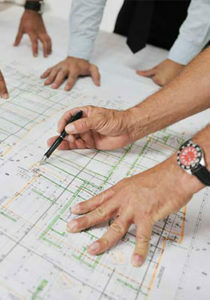 We will complete your project in a timely manner, within your budget, at a competitive price. As mentioned, our top priority is to ensure your project is accomplished to your complete satisfaction. Kocher Construction is a construction services company that provides full-service building solutions, consulting, construction management, design, and renovation services in New Jersey City, Union City, Hoboken and the surrounding areas. We offer a wide range of construction services from kitchen renovations to custom bathroom renovations to complete home renovation. We encourage teamwork, trust, and safety and are committed to helping our clients realize their vision. When it comes to renovating your kitchen and bathroom, our team works with you to set your goals and budget, choose materials, and finally install everything as per your exact specifications. From gut renovations to tailored renovations, we got you covered. We listen to our clients and generate ideas on how to efficiently utilize the available space for their needs. Whatever the size of your kitchen or bathroom, and whatever your budget, Kosher Construction will transform your dream into reality. Let our team at Kocher Construction utilize our skills, expertise, and experience to design your dream building or home and bring it to life. From layout and space planning to budget planning, we will make sure your construction project is accomplished at an exceptional level of quality, within your budget and on time. We utilize a high-end customer-focused approach that involves balancing speed, budget, and quality. Contact us for your upcoming new construction. Our experienced team can turn what you dislike in your home into an attractive space that will be your favorite part of your home. Whatever it is that you’re dreaming of, we can build it. Kocher Construction has years of experience with a wide range of construction types and will customize your renovation project to fit your personal lifestyle and meet your needs. Why Choose Kocher Construction In New Jersey? At Kocher Construction, we strive to work with our clients closely every step of the way, right from the design stage to project completion. We are a full-service construction company with years of experience building new homes and renovating homes in New Jersey. 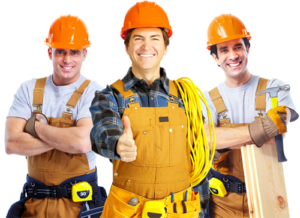 It’s also important to note that all our construction and renovation service work is fully insured. We understand that you’re looking for a contractor who is not only going to meet your expectations but keep the lines of communication open which is why we work with you throughout the entire construction or renovation process. As mentioned, we’re committed to helping you realize your vision. When it comes to renovating your home, you need to hire a construction contractor you can trust. Remember your home is your castle. The professionals and craftsmen at Kocher Construction are the people for you. We have the experience, skills, and expertise you need. You can trust us with your new construction or home renovation project. From kitchen renovations to complete home renovations to new construction projects, our experienced team will work with you to make your dream come true. We have one simple main goal: to ensure your construction or renovation project is a success through attention to detail, innovation, creative thinking, and superior service. We’re here to meet and exceed your expectations. It’s time you built a home that fits your lifestyle. Let Kocher Construction do it. We are hands-on from the initial stage to project completion. As a leading general contractor in New Jersey City and beyond, we take pride in our client-employee relationships and are committed to exceeding expectations.